Before I travelled to Europe, Germany has always been written into my mind as a cold, broken place. The centre of World War II, its country's history crosses over into New Zealand's past only in the name of war and conflict. It probably didn't help that when we woke up in Berlin on a cold late October morning, the skies were a moody grey, and the temperature less than warm and friendly unlike the fresh and bright Amsterdam we were in the day before. 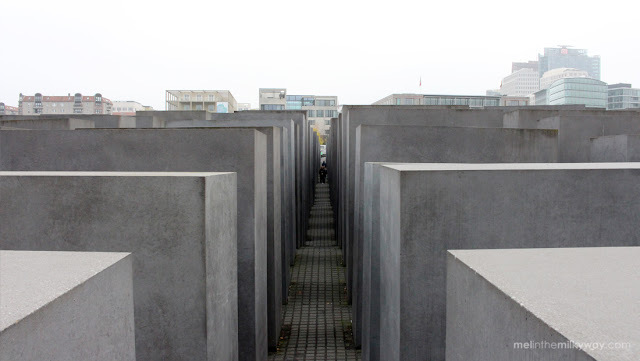 In our tour group of forty, no one named Berlin as the city they were looking most forward to. 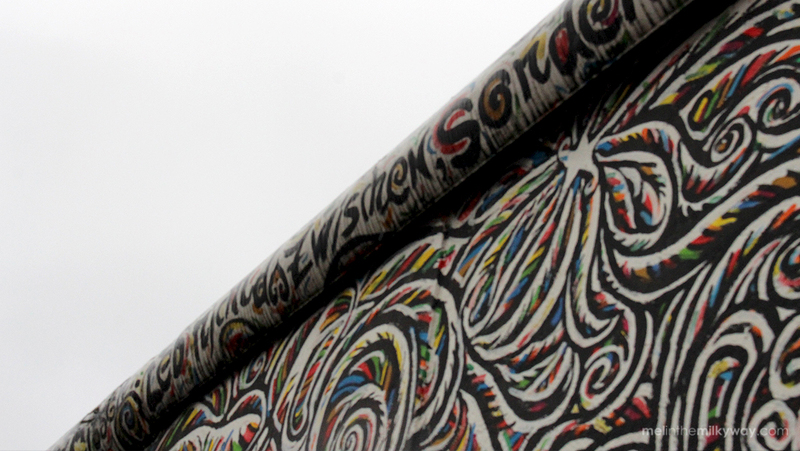 It's hard to separate what the identity of Berlin is without bringing up the words of war. A city scattered with scaffolding and signs of construction, Berlin didn't feel old or new - just incomplete. Potholes covered many exteriors, bricks scarred and battered by bullets. 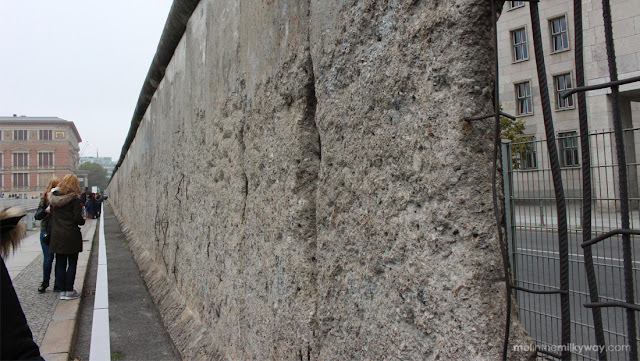 Roads feature the scraps and markings of the old Berlin Wall, while plaques marked tunnels and their sympathies of years past. The city had seen much more than what was still visible today. 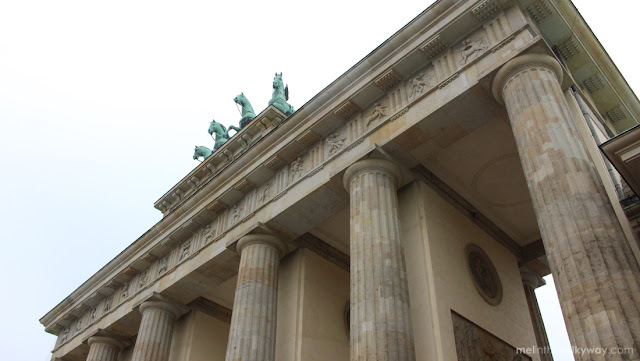 Through the walking tours, the monuments and museums we passed, I was drunk on the history of Berlin, yet sober in emotions. The stories of the city felt so detached from any humanity. How was it possible for people to accept these conditions of war, death and punishment? The feelings and thoughts left me emotionally drained, as grey and moody as the skies above. But in the contrast, there was life in the signs of rebellion. Where there is brokenness and hurt, art comes alive. One large section of the Berlin Wall that stands is labelled the 'East Side Gallery. It's covered in graffiti street art that gives them the space to celebrate freedom, and with that, the freedom of expression through art. At the time, the walls were protected and fenced, but it didn't stop some people wanting to leave a mark on the spare spaces unfenced and available. Food is always a source of happiness, where beer halls of Berlin still remain full of excitement, large steins and many bratwurst sausages. And you can't go past the Ritter Chocolate shop that is a literal rainbow of sweets and life. One of the happiest moments of the trip was when our Contiki group, chilled by our 'Cold War and Cold Drinks' walking tour, took to the bars for a drink or few. The first bar was a dud, as patrons played ping pong in a cold room, walls lined with blood covered spray paint, and wine handed in cheap glass tumblers. We eventually stumbled into an empty beer garden which we had all to ourselves. And when you have a bar all to yourselves, your Aussie and Kiwi pals bring out their partying ways. There was dancing, singing, and some Mr Brightside belting as we held our complimentary pretzel bread. The rest of the night was a blur, leaving the next day in the grey and moody rain once again. But we didn't leave with the shaded opinions of war and destruction we first arrived with. Berlin may seem like a cold and broken place, but in those broken parts are light and life just ready to take over. 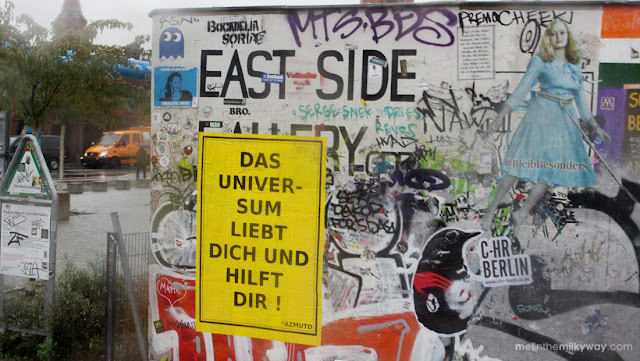 Amongst the art, the rebellion, and that one weird drinking bar where they played ping pong, the next generation of Berlin is bound to be filled with promise and life. And maybe then, 40 new tourists visiting Germany will have more to look forward to than what's broken, grey and moody.